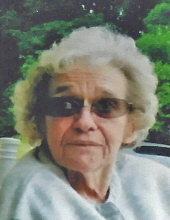 Hyde Park - Ruth Ida Griffin, 86, of Hyde Park, died on Tuesday, April 9, 2019, at the Renaissance Rehabilitation & Nursing Care Center in Staatsburg. Born October 2, 1932 in Mt. Kisco, she was the daughter of the late James and Mariam Bedell McCormack. Ruth was a nurse at St. Francis Hospital in Poughkeepsie for many years until her retirement. On November 20, 1976 in Mt. Hope, NY, she married Herbert W. Griffin. He predeceased her on January 27, 2019. Survivors include her daughter, Susan Rosenberg; two sons, Samuel E. Hill III and Donald J. Hill; step-daughter, Pamela A. Johnson; step-son, Herbert J. Griffin and wife, Theresa; three step-grandchildren, Theresa Anders, Donna Johnson, and Donald Johnson; four step-great-grandchildren; and two step-great-great grandchildren; sister, Shirley Farley; and nieces and nephews, Todd, Laura, Cheryl, Robin, and Fred. In addition to her husband and parents, she was predeceased by two sisters, Alice Hassenmeyer and Jean McCormack. There will be a period of visitation from 11 am to 12 noon, Friday, April 12th at Sweet's Funeral Home, Rte. 9, Hyde Park. Funeral services will follow at 12 noon at the Funeral Home. Burial will be in the family plot at Union Cemetery of Hyde Park. To send an online condolence, or for directions, please visit www.sweetsfuneralhome.com. To plant a tree in memory of Ruth Ida Griffin, please visit our Tribute Store. One hour prior to service. "Email Address" would like to share the life celebration of Ruth Ida Griffin. Click on the "link" to go to share a favorite memory or leave a condolence message for the family.